Urban security is often thought of as strategies to protect and disarm city populations, however security may also be understood as endurance. As the multiple ways in which urban residents use their everyday experiences to survive in the city. Even as particular cities may try to secure their borders, ways of life or cultural preoccupations, these efforts, no matter how formidable, remain vulnerable to circuits through which urbanized residents have spread out for centuries, both with and against their will. One can walk along a single street in Strasbourg Saint Denis in Paris saturated in the homogenous economy of hair salons and count the hundreds of different pathways the seemingly idle young men standing in front have taken to plant themselves on this spot. The underplayed yet critical aspect of urban security is endurance. Endurance is slightly different to survival. For example, much emphasis has been placed upon how residents survive the city, particularly the large numbers of urban poor. Whilst, sometimes their survival efforts are realistically acknowledged—a great deal of resilience and ‘street smarts’ are demonstrated under otherwise debilitating conditions. The celebration of urban survival though can get out of hand, and the poor quickly becoming urban heroes, proof of the resilience of human ingenuity and spirit no matter what is thrown at it. Yet there is nothing necessarily heroic about a willingness to rush to the bottom. On the other hand there is a certain degree of insincerity in the bafflement as to how the poor manage to survive, as if only a middle class efficiency constitute the terms of survival. One can hear almost a palpable sense of relief as extensive statistical toolboxes are utilised to list off high mortality and crime rates for the poor, as well as a host of psychological, medical and social problems. In ‘dangerous’ cities, like Karachi or Caracas, for example, stereotypical notions of survival seem predicated on a capacity to remain almost invisible. For, if one tries to be or have something of any significance, it is bound to attract all kinds of unwanted attention and the chances are that person is not going to be around for very long. 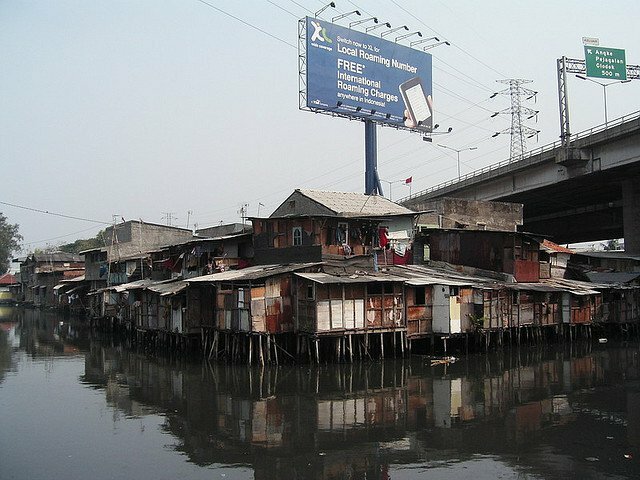 But perhaps the more interesting invisibility as it pertains to endurance has been the persistence of large numbers of districts in almost all cities across the so-called Global South where people of different incomes, doing different things, and using space in different ways manage to live in close proximity to each other. Here, artisans, factory workers, civil servants, commerçants, service workers, drivers, nurses, teachers, and drivers have over many decades managed to incrementally build viable livelihoods and living spaces, while also operating in close proximity to those who are just starting out in the city and have little, those who have lost what they had, and those who never had much of anything. For these residents, security entails doing a wide variety of things within local environments. Many of these areas are slowly being wiped off the map and their populations displaced by large-scale redevelopment projects. Not only are a particular approach to urban residence and economic activity lost through such projects, but also a diversity of means for making history. For these areas reflected different gradations of gentrification, renewal, decay, resurgence, and dissipation. A sense of planning was accomplished through producing an everyday plurality of interim solutions to problems over the use of space, the implications of particular economic activities, and the interactions of different kinds of materials. Selections among such interim solutions often didn’t work. But then there were other options available to fall back on, different ways forward seen as equally plausible. Importantly, the plurality of possibilities kept a plurality of actors in some kind of relationship with each other. Differences in background, networks, and ways of doing things became the elements that could be rearranged to constitute different possibilities for designing the overall living and working environment of a district. If these residents had to largely assume the responsibility of supplementing incomes, making their own livelihoods, or finding ways to insert themselves into economic and social activities at bigger scales, they sometimes did so by reshaping their own aspirations, skills, self-reflections, and social networks. This they did through the very ways in which they built, responded to, and rearranged the material environments—the buildings, the infrastructure, and the economic activities and materials produced and traded. Such districts may have been particularly vulnerable due to the complexion of everyday practices which made it difficult to organize large-scale political mobilizations adequate to the task of dealing with the power dynamics of urban elites. The flexible working out of provisional accommodations among a wide range of aspirations and initiatives could work against formalizing standard conditions of tenure, housing finance or making sure that work was effectively distributed across different scales and types of economic activity. Nevertheless, these everyday practices made up an important inventory of social practices, ways of interpreting urban conditions, and modes of social support and stability that have long ‘guided’ urban residents. Endurance is thus a way to “keep on keeping on” not attributable to some inner force or underlying proposition. It is not the unfolding of a plan, or a well-put-together personality full of fortitude, able to roll with the punches and flexibly duck and dive all that would threaten falling apart. Rather, endurance is a matter of bridge building. This is not a bridge that brings together distinct peoples or ways of life into a common purpose, resemblance or mutuality. For, bridges also point to breaks and frictions when different ways of doing things are put close to each other. But without such frictions there is little motivation to work out ways of associating people and things that have no overarching reason to be associated. Whereas notions of citizenship or cultural belonging entail an abstract sense of similarity, residents in these districts continuously have to build a sense of their own commonality, never privileging particular facets such as religion, occupation or historical background as the tools to do so. These are bridges that reiterate the separateness of things. Yet, this is a separateness “within view”, where different ways of doing things remain concrete possibilities for parallel lives that need not warrant continuous living. But they are still accessible to all parties as disruptions of their own routine assumptions. They can be experienced without residents always being compelled to either understand what is taking place on the “other side” or completing ignoring it. Almost counter-intuitively, what kept residents from different backgrounds, occupations, and ways of doing things together was the practice of increasing what each was capable of doing by using these differences to make environments where almost anything could happen. As such, the bridge connects the multiple futures that people could assume, occupy, whether this ever actually happens or not. These positions do not connote underlying points of commonality prior to relations. The relations are not dependent upon the relative similarity of the people or histories that are brought together; nor do they integrate them as one big happy community. What is maintained is an intensive proximity, an offering of different perspectives to the other. As such, residents of the mixed-income, mixed-use districts I refer to here have been able to “recognize” themselves, maintain a sense of coherence across many different activities and conditions, and in the midst of others with whom it is not easy to identify or associate. In Jakarta, where I live, and where a significant proportion of the population has historically relied upon their own initiative—in various forms of combination with the initiatives of primary institutions and various associations and networks—many different things take place. Buildings will assume all kinds of shapes and sizes, economic activities will take place at various scales with various degrees of seriousness, investment and management smarts, and all kinds of emotions will come to the fore—as many of these initiatives won’t work. Hopes will be raised and quashed; people will get greedy but also spread their good fortune around; people will get desperate and try anything, while others will hold on to whatever they have. In the built environment: there were the mixture of purchased, scavenged, recycled and hybrid material inputs; the division and consolidation of plots and building, micro-incremental and unilateral renovation. In the local economy: there were the move toward intensive specialization and upscale, multidimensional production; the proliferation of small diversified businesses owned by related family and social networks and the aggrandizement of economic activities under the corporate ownership of previously unrelated entrepreneurs. In all of these aspects of the built environment and local economy, it has always been hard to get a precise reading of what was going on, of who was really in charge, and of where things were heading. But this inability to make events, situations, and even the people themselves fully intelligible was an important facet of their endurance, and thus their security. Political and technical operations have long been engineered in ways that attempt to continuously and more precisely survey what is taking place in cities. From roads, cables, pipes, engines, computer chips, phone towers, machines, fiber optics, pumps, generators, wires, gas, and the vehicles, bodies, instruments, and structures that direct, enclose, and expose them, and the calculations and powers that diagram their intersections, the capacities of persons and things are held, at least momentarily, to be viewed and shaped. These operations have been extended to elaborate ways of what Brian Massumi has called, “seeing in advance”—of preempting dangerous activities through being able to recognize the incipient forms of danger, through prior scanning of and algorithmic calculation of behaviors across a wide range of times and contexts. But what must be emphasized are those facets of cities whose potentials, implications, and trajectories are—not so much suspended in mid-air—but continuously altered or renewed in ways that are not only experienced and interpreted in terms of different probable futures, but which simultaneously exist as the improbability of any definitive outcome. While it is certainly possible to talk about how healthy, clean, functional or productive a district might be, these statements often fail to have any traction on the ground. It is not that residents don’t know the many problems and vulnerabilities they face. But rather than these problems summarizing or representing what a district is, they become ways of deflecting attention or keeping open many different possibilities. Where state unintelligibility of the on the ground terrain may prompt political decisions to “make things clear,” the everyday realities of these improbable lives push back to make the politics of deciding things-as-certain more uncertain. Of course districts such as these can be bulldozed out of existence. But, at least in Jakarta, such unintelligibility produces a certain wariness in those inclined to move too definitively against them or to control them. Intentionally or not, much of what takes place in cities today actively de-skills the capacity of residents to use urban life and everyday relationships as a means of learning how to co-exist in ways that do not depend upon the political enforcement of who residents are and what they ought to be. Despite the proliferation of social networking and instant updating, the endurance of cities, such as Jakarta, Sao Paolo, Lagos, Karachi and others have long depended upon the capacities of residents to work collaboratively without seeming to do so, of affecting each other in the small but constant adjustments of their everyday lives.